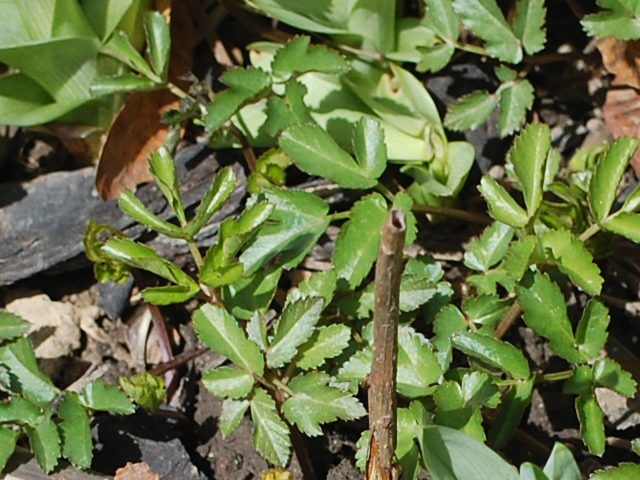 Buffalo-NiagaraGardening.com > Garden tips > Help a reader: What is this awful plant? Help a reader: What is this awful plant? Can you help this reader? What is this plant? Do you have any tips on how Kathy can get rid of it? Please leave a comment below. I can offer this much help. This is definitely a weed. A weed is any plant that is growing where you don’t want it to grow. But I’m not a gardening expert. I’m a writer by profession who interviews knowledgeable people in order to provide you with great articles on Buffalo-NiagaraGardening.com. So when someone asks a question I can’t answer, I post the question and rely on my readers to share their expertise. If you have advice for Kathy, please leave a comment below. If you want to know the answer to these questions, check back later to read the comments. Sending a question to me to post can be helpful if you’re looking for a wide range of opinions and don’t mind waiting for the answer. 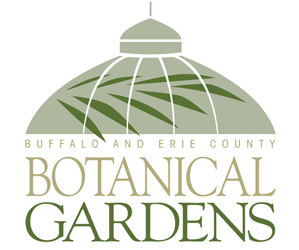 If you want to try this route, email the question to me at connie@buffaloniagaragardening.com and I’ll pose it to my readers in an upcoming issue. All I know is I have had this same problem in my garden and this weed is very invasive. I have tried all types of weed killers on this from Preen to extra strength weed b gone and nothing seems to kill it except maybe temporarily. It is so fast growing whatever turns brown on top of the soil is still growing underneath. If anyone identifies and knows how to get rid of this I would also like to know please. Does this plant flower and if so what color are the flowers? This looks like it could be Pachysandra, which is used as a groundcover. It’s very invasive. I’m sorry but the only way to get rid of it is to pull it out. This is definitely not Pachysandra. It is very invasive and grows by spreading runners which root anywhere it touches soil. I have been pulling it out for years also. I even took apart one flower bed and dug each plant out by its roots to get rid of them. Within a few weeks, it was back. It does not flower and has the ability to grow in any kind of soil, wet or dry conditions, and appears frost resistant .i think it is called cinquefoil. Looks like Bishop’s weed / Gout weed. 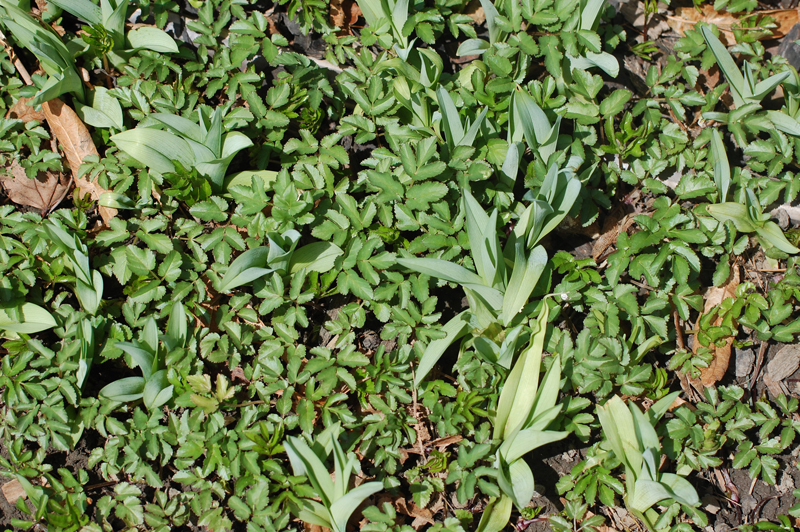 It’s actually sold as a groundcover and is very hard to get rid of. I have had success smothering it with layers of newspaper covered with mulch. 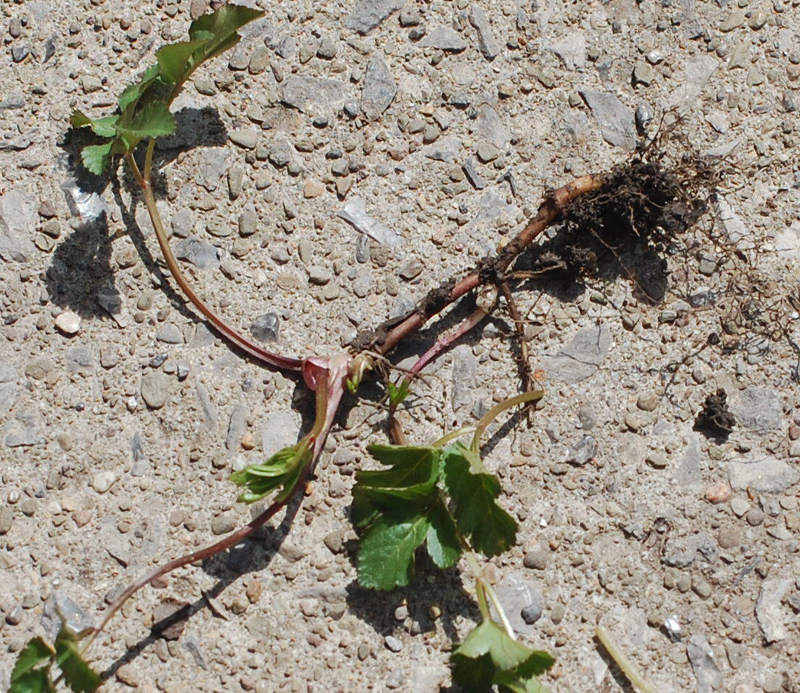 Cinquefoil has compounds leaves, each with five leaflets. The photo is not quit clear enough and it would be great to see a flower. it can either be all green or green/white. It grows by spreading spaghetti-like rhizomes underground, just like common mint. Once established, extremely hard to get rid of. I had it in my backyard beds when I first moved here, and had to dig down over a foot deep, sift the dirt of all rhizomes, and put in a foot-deep edge between here and the yard behind me, from where it had spread. you may have to dig up your affected beds and pull the rhizomes out from the root balls of good plants you wish to save, or start from scratch like I did. by the way, it’s great by itself around the bases of trees! use a good deep edging to keep it in its place, though. Wow! Three years! I had heard that bishop’s weed or goutweed is invasive. Wow. I have tried covering the entire area with thick black plastic and mulch. It still comes up. It’s hard to dig up, because I have a huge rose bush and day lilies in this bed and this weed twines all around them. I guess I get a pair of gloves and shovel and start pulling it out where I can. Can’t imagine why anyone would plant this anywhere. Thanks for all the comments!!!! I was beginning to think I was going crazy! Nothing stops it!